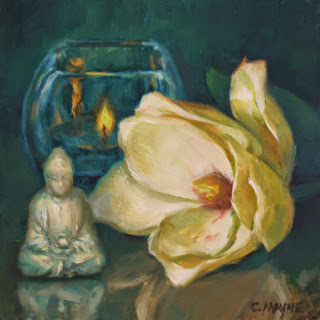 I am re-posting Denise Cerro's blogspot about the work we did together this week to complete painting in a client's home. 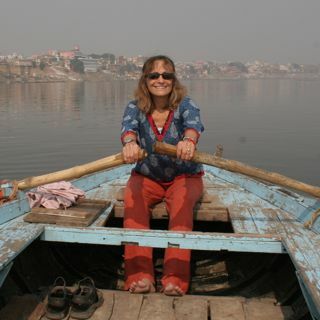 Denise is a fabulously talented faux finisher, teardrop trailer remodeler, vintage hankie pillow designer, home and commercial furniture and home furnishing stager, and overall awesome woman! and will no longer send out newsletters through FASO. I like my simplified website, and hope you do, too! Thanks for your continued friendship and interest in my artwork and classes. It's that time of the year when Randy Higbee hosts the 6'' Squared Show. 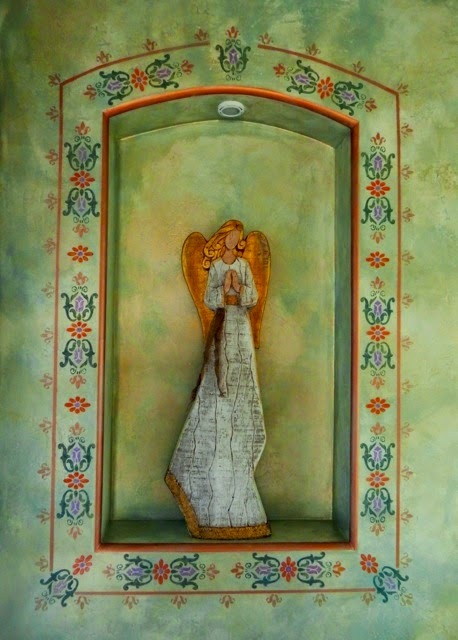 Here is my entry, one of four paintings in this series. I guess the Buddha had some things to teach me, we've 'wrestled' with each other for a few weeks. I hope He won. One Day Workshop - Getting the Big Picture! with a still life set-up in my Studio. 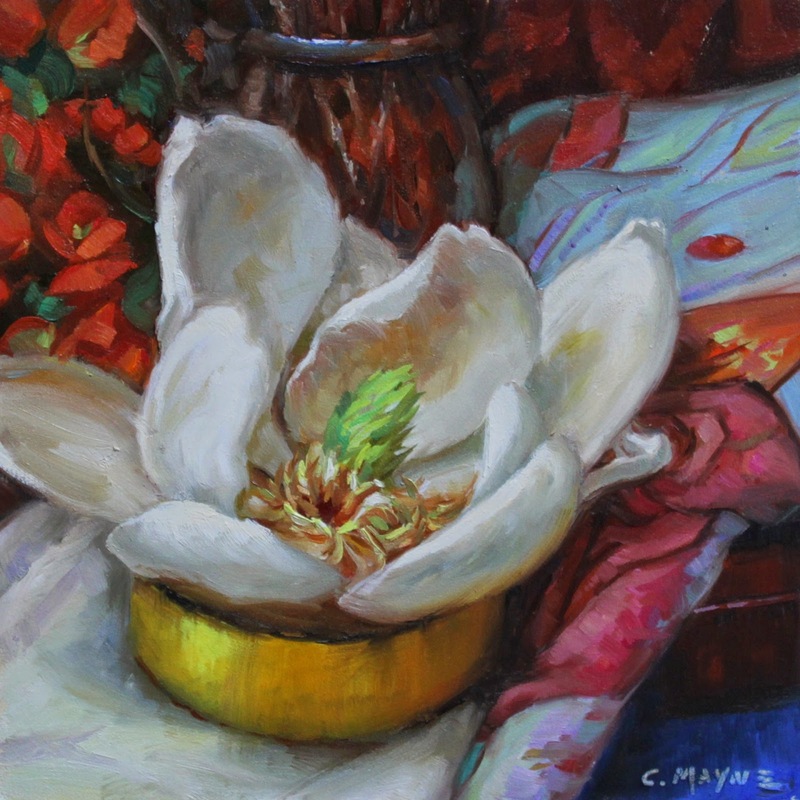 ''Magnolia'' is 6'' x 6'' - Would you have guessed that it is a bigger picture? I haven't posted in a year, but have not stopped painting! 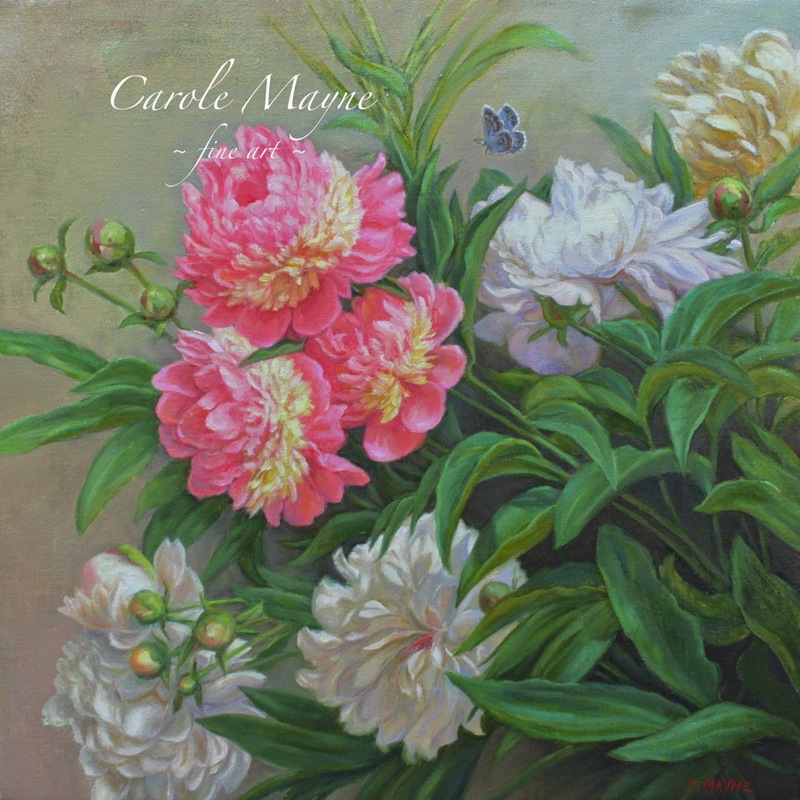 I spent 5 months painting 15 new florals for Chrysalis Gallery in New York. They will be opening a second location in Gramercy Park, NYC, and I will soon announce the address and dates. 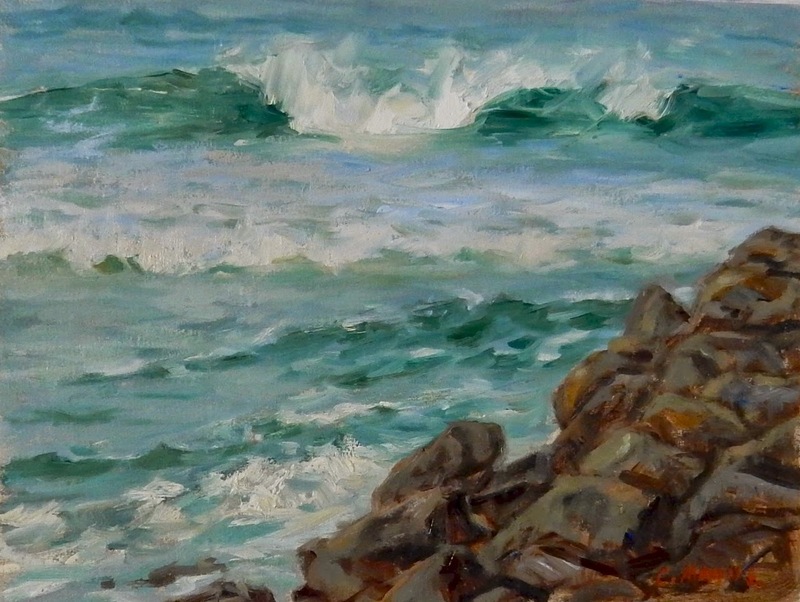 This was my latest plein air piece done on the jetty at Ponto Beach, Carlsbad. I wonder if you are in the process of re-focusing your life and priorities, too?